During my time here at Lotto Exposed, I have covered numerous lottery scams. Let’s see… There was the random million dollar email, the Facebook messenger, the Instagram scam (HAH that rhymes!) and many more. Out of all these scams, the following are some of the worst offenders… In my opinion, of course. Out of all the lottery scams that get sent through email or even the postal service, I feel that the scams that use the names of real lottery winners to try and convince Joe Shmoe that they want to help you by sharing some of their money with you. Case in point, the Tom Crist Email Scam. This particular scam uses the name of a Canadian man who won $42 million in the Canadian Lotto Max game. One of the reasons why his name was used by scammers is probably because Tom Crist went to the media outlets and stated he wanted to donate everything to charity. So, as you can imagine, scammers took this and ran with it. They sent out emails saying that you are a recipient and all you have to do is send them your personal information and click on a link to send a donation. 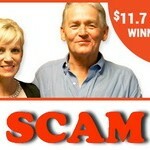 Another Winner Scam includes the Adrian and Gillian Bayford Scam and the Edmonton Lottery Winners scam. Both of these acts the same as the Tom Crist scam. Did you know that there are approximately 1.23 billion Facebook users, more than 200 million Instagram users, and 800 million Yahoo users? That is a lot of people that use some form of social media on a regular basis. 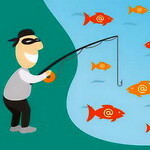 With such a high volume of users, these social media sites are a scammer’s paradise! The fraudsters will use the messaging system on these sites (whether it is via a comment on a picture, through the messenger service, or an email). They will try to convince you that they work for the website and the founder of the site (or CEO or what have you) has chosen YOU to receive millions, or you are the winner of some super-secret lottery that no one knew about. Yeah… It is as far-fetched as it sounds. Much like the other scams, the credit card scam usually comes out of nowhere. These scams are especially worrisome because not only are they trying to get money from you, but they can also steal your identity. For example, in the MasterCard Lottery scam, the email is sent with numerous MasterCard logos that are very convincing, and they also use Microsoft as the tool used to select the winning email address. These scams will ask for you to pay processing fees so that they can release your winnings. 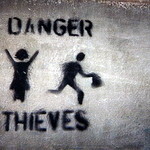 Of course, there is no money to disperse and the only people who are receiving anything are the scammers! Then again, you also want to be wary about some of the lottery agents you do business with, There have been some instances where people have said that their card has been charged fraudulently after they purchased their tickets through the lotto agency. 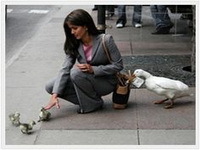 In order to avoid this kind of situation, we fully recommend using one of the LottoExposed.com Reliable Lotto Agents. One of the most important things you need to know if you come across an email, a letter or some other communication is that if it sounds too good to be true, it probably is. It is not very likely that some random lottery winner is going to share their money with you, nor will a website chose you to receive a large amount of money. Let us not forget the cardinal rule—in order to win the lottery, you have to play. If you don’t remember playing a lottery that you supposedly won, chances are it is a scam. Red Alert: People’s Postcode Lottery Scam! Stay Away of Anything That Seems 2 Good To Be True.